Progreso (Argentina), Feb 17 (IANS) Family and friends of Cardiff City striker Emiliano Sala, who died in a plane crash last month in the English Channel, paid their final respects at a memorial service in his hometown here. "It's too tough what we're dealing with. This is a town that's in bad shape. From this day forward, Emi will be with us every day," Progreso Mayor, Julio Muller, said in the service on Saturday. That small town of 3,000 inhabitants where Sala lived from the age of four, has been virtually paralysed for the past few weeks leading up to Saturday's wake, in which people paid their last respects before his body is cremated, reports Efe news. The service was held at the installations of Club San Martin de Progreso, where the striker got his start in the sport. "Everything's stopped... When we saw the news we didn't want it to be Emi, but we wanted one thing and destiny another," Muller said. Sala's body arrived in Argentina on Friday along with some family members who were in France during the search for the remains of the light aircraft that disappeared on January 21. The wreckage was found on February 3 and Sala's body was recovered and identified four days later. "He's from here (Progreso). He's a part of us and our history," Sala's aunt, Mirta Tafarel, said. She also said it was important to clarify what caused the plane to plunge into the sea while carrying Sala from Nantes, France, to Cardiff, Wales. 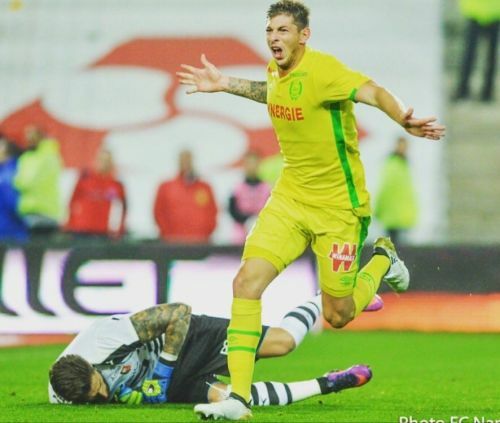 Sala, who played for Ligue 1 club FC Nantes from 2015 to 2019, had returned to that French city after signing a new contract with Cardiff City. The plane crashed as he was flying back to Wales for his first training session with the English Premier League club. Among those making the trip to Progreso were officials and players from Cardiff City, which had paid a club record 17 million euro ($19.2 million) transfer fee to acquire him, and from Nantes, where he enjoyed his greatest success. Nicolas Higuain, Sala's former agent and the brother of Argentine soccer star Gonzalo Higuain, also attended the wake.